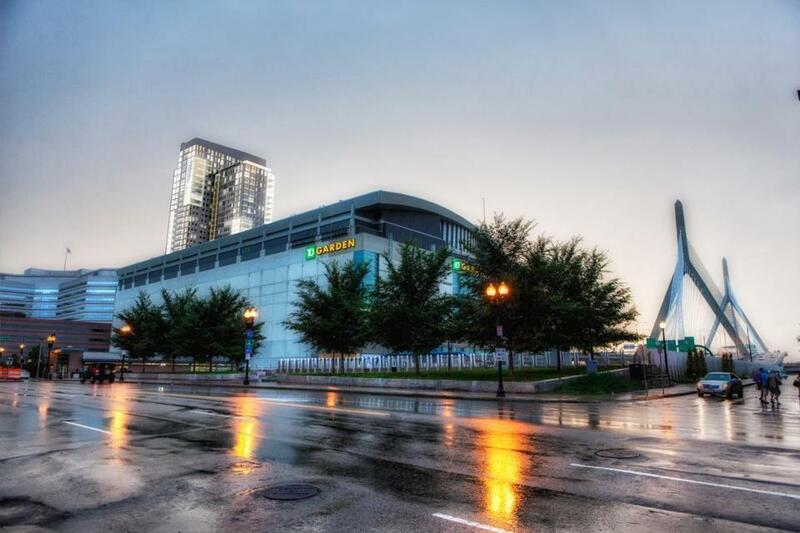 AvalonBay plans to build a 503-apartment tower behind the TD Garden. THE STREETS around North Station used to be a good spot to catch a game, a fight, and some cheap drinks, but not much else. Two massive spans of green steel — the Central Artery and the Green Line viaduct — soared over the neighborhood, walling it off from the rest of Boston and driving development away. Streets were either dark and abandoned, or they were raucous and overrun; little ground stood between those two poles. Now, however, those same streets comprise one of Boston’s hottest development markets. The Beal Companies and the Related Companies are building a new headquarters for Converse, along with 100 housing units, on one side of North Station; AvalonBay is constructing 503 apartments on the other side. Just across Causeway Street, apartments and hotel rooms are rising on parcels that have stood vacant for years. All told, more than 1,100 housing units are either under construction or soon breaking ground around North Station, and that figure doesn’t factor massive redevelopments currently being proposed for the Garden Garage and the lot where the Boston Garden used to stand. The surge in investment has been a long time coming, but the shift from part-time watering hole to genuine neighborhood has been incredibly abrupt. Public funds come first. Private developers are flocking to the blocks around North Station because the public sector created a neighborhood worthy of private investment. The Avenir, Victor, and Merano housing developments are reestablishing the historic Bulfinch Triangle blocks. They wouldn’t have been possible without the Big Dig, because they’re rising in the highway’s old path. Burying the elevated Central Artery created new real estate, and it opened the streets around the highway to redevelopment: Lovejoy Wharf, Converse’s soon-to-be home, was, for years, a rotting old industrial building that was sinking into the harbor because it sat on the wrong side of the Artery. The state did more than trade a highway for new parks and commercial development parcels, though. As it buried the Artery, it expanded the rail tracks at North Station and re-routed the elevated Green Line underground. These transit investments have opened the corridor to new workers and residents, and they’ve enabled developers to spend their money building housing units and offices, rather than expensive private parking spaces. AvalonBay recently ramped up the number of apartments it’s building on Nashua Street; the expansion replaced floors of unneeded garage parking. Plan proactively. City and state officials sold the Big Dig as a tool for linking neighborhoods to one another and to Boston’s waterfront. Community activists around North Station and the West End spent the years while the Big Dig tunnel was under construction planning to make the most of the new landscape the bulldozers would leave behind. They met with the city and the MBTA, hashing out how the future Bulfinch Triangle developments would look and function. When developers hit a wall in Boston, it’s during this kind of community process. The Bulfinch Triangle planning was lengthy, but it wasn’t costly, because it happened before any developer got involved. Once developers did appear, they sailed through their city approvals, because the community had already done all the heavy lifting. Make zoning count. Developers can move quickly on projects around Causeway Street because they know what they’re getting into. The zoning on the street matches what’s written on paper at City Hall. The blocks around the TD Garden are set aside for significant 400-foot towers, while the mid-rise buildings in the Bulfinch Triangle can’t go any higher than they are now. This isn’t the normal course of things. Zoning in much of the rest of the city is artificially low, forcing developers and neighborhood activists to engage in protracted but carefully choreographed rounds of negotiations. This dance works wonderfully for extracting cash and public benefits from builders, but it makes development adversarial, subjective, and highly unpredictable, especially on building height. Builders have quickly lined up a stream of projects around North Station because the zoning is realistic, and backed by years of community process. AvalonBay sailed through permitting on its massive Nashua Street Residences, even as Equity Residential remains locked in a years-long standoff over its shorter Garden Garage redevelopment, because AvalonBay’s parcel was already zoned for height, and Equity’s isn’t.